Do Dogs Have Nightmares? - Petpav - Your Online Magazine for All Things Pet! If your dog is fast asleep and you see him or her twitching or whining, your dog could be having a bad dream or possibly a nightmare. There have been many studies done to see if dogs actually dream and scientists believe that dogs both dream and have nightmares. But, no need to panic every time your dog whines when sleeping! This could be merely a sign of excitement. Is there a reason why dogs have nightmares? 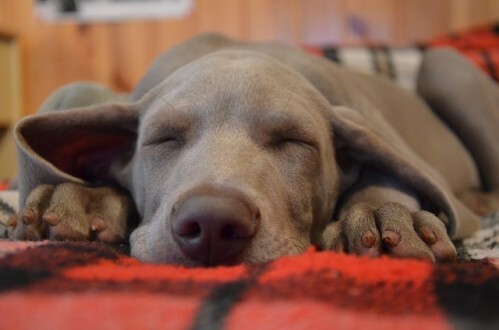 If you notice your dog dreaming and possibly having a nightmare with twitching eyelids, paws flailing, yelping or whimpering, it’s best to let your dog continue to sleep–since deep rest is important–plus, waking him may cause confusion. If your dog does wake up on his or her own, make sure to speak in a soft, loving voice. Don’t stroke or pet your dog immediately because he might bite you simply out of fear. Try giving your dog his favorite toy or a blanket and put it next to him as he sleeps. This will give him a calm feeling when resting and could help him dream happily. Even a shirt with your scent on it can be helpful to soothe your dog. • Try to figure out the timing of the nightmares and how often they occur. • Did your dog eat something different or unusual? 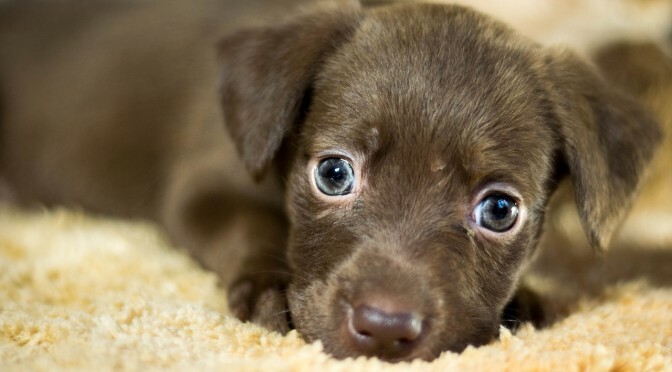 • Did something happen that scared your dog, including any random visitors? If you’re worried that your dog is having a seizure or your dog seems too distressed, then call out his or her name. It’s best not to touch a sleeping dog since they may snap or bite as a reflex. If it is a seizure, you will probably be able to tell right away. And if isn’t as seizure, you’ll know when you try to wake your dog. You’ll be able to wake your dog if it is a dream, but not if it’s a seizure. If your dog’s sleeping behavior seems unusual and he or she has continual nightmares, keep a diary or account of when the dreams occur and how long before going to sleep. Do the dreams happen frequently, a few hours after your pup goes to bed? This information can be valuable to a vet (or pet behavior specialist) in determining the cause. 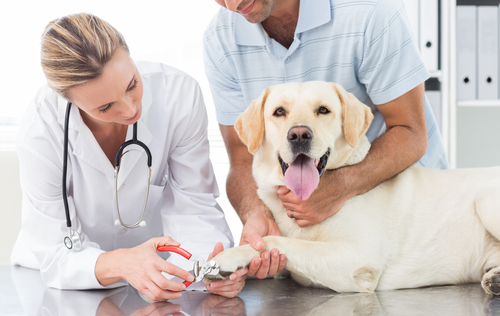 If you can videotape your dog, even better as your vet might be able to figure out what is going on with your pup. 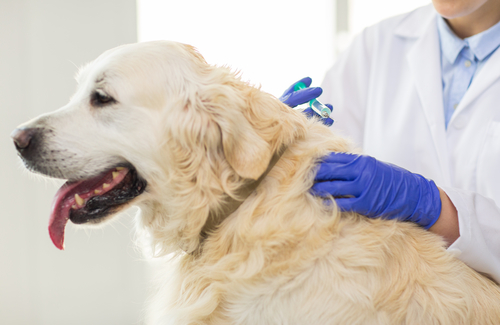 Also, never give your dog any medicine that is not prescribed by a veterinarian. It would be best to leave the dog to deal with the nightmares and have a normal sleep, especially if your dog seems rested and energetic when he or she wakes up.